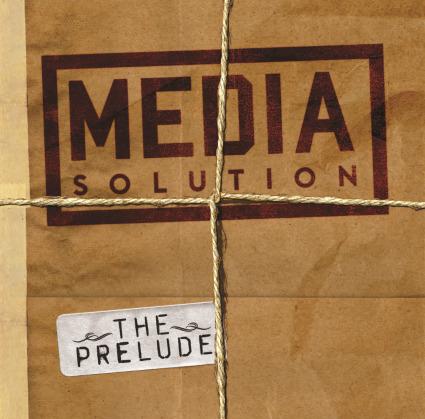 Agg-metal is very much alive and well on Media Solution’s The Prelude, an album that conjures up memories of bands like American Head Charge, Mushroomhead, Motograter and Mudvayne to name a few, which shouldn’t be much of a surprise with Ulrich Wild (Static X, Slipknot, SOiL) and Mikey Doling (Soulfly, Snot, Amen) behind the mixing board. Frontman Robb Sackett is a corrosive force on the frontlines of The Prelude, emulating Five Finger Death Punch’s Ivan Moody and Hellyeah’s Chad Gray at times. He captains the charge throughout this EP; opener “Destroy Something Beautiful” is a potent mix of chugging riffs and destructive vocals, the defiant “Stand My Ground” proves that Media Solution knows how to craft a truly great hook, “Turmoil” is three minutes of sonic chaos, galloping leads and gravel-throated vocals persist throughout the nonstop rollercoaster ride of “We Are the Kings,” closer “Enjoy The Ride” is a clinic in all things call-and-response. The Prelude is only seven tracks long, but there’s a lot to like here.